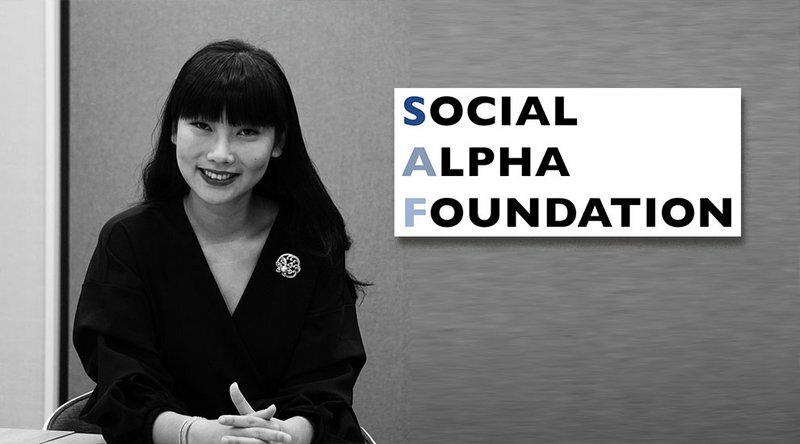 As chairman and co-founder of the Social Alpha Foundation (SAF), Nydia Zhang has left a solid mark on the blockchain and cryptocurrency space, though, as a young art student at the University of Washington in 2011, blockchain was far from the direction she saw her life taking. Zhang earned her bachelor’s degree in art history in 2015 and spent the next few years carving out a career for herself in the field of art management. After working for several museums around the world, including Pearl Lam Galleries, Seattle Art Museum and Vermillion Art Collections in Hong Kong, she ended up at the San Francisco Museum of Modern Art, where she served as a research manager and board member. In a recent interview with Bitcoin Magazine, Zhang explained how she got involved in the blockchain arena, what started the Social Alpha Foundation, what the company’s goals are and how the blockchain stands to affect global operations in the future. Founded in 2017 in Hong Kong, SAF is a not-for-profit, grant-making platform that seeks to support blockchain education and outreach by empowering communities to utilize blockchain technology for social good. The organization offers no-strings funding to companies and projects that educate communities on blockchain technology for social change. SAF also provides grant money to non-commercial blockchain applications that focus on improving public health, education and the environment. Successful applicants receive funds ranging from $10,000 to $100,000, depending on the size of their projects. Grants are typically offered in cryptocurrency from individuals and commercial platforms that have executed successful token sales, creating a channel for donors to adopt corporate social responsibility practices. Zhang first decided to get involved in the blockchain space after sensing it could assist in future philanthropic efforts. Interestingly, SAF was Zhang’s first venture into the blockchain community, though she says it’s been one of the most rewarding experiences of her professional career. She’s also very excited about the progress the company’s made considering it’s only a year old. Thus far, SAF has supported a total of six applicants since it first opened for business. The most recent is the Blockchain Trust Accelerator (BTA), which later created the Impact Ledger, a definitive online registry of social impact blockchain projects that spans the non-profit, public and for-profit sectors. The Impact Ledger seeks to raise awareness of such projects among key audiences like non-governmental organizations (NGOs) interested in pursuing blockchain ventures, funders exploring the blockchain, and for-profits considering the creation of blockchain projects or partnering with those in another sector. Aside from her work with SAF, Zhang is also co-chair of the Financial Inclusion Committee, a division of the FinTech Association of Hong Kong. The organization examines new ways of utilizing blockchain technology to reach sustainable development goals (SDGs) such as lowering global poverty, inequality and environmental degradation. Despite its power, Zhang mentions there is still heavy uncertainty surrounding blockchain technology, particularly because it’s so new. She also noted the lack of opportunities the public has had to educate itself up to this point but believes that’s slowly changing. One of the other issues she’s noticed is the gender gap and lagging female presence in the blockchain arena. For the most part, it has been largely dominated by men, though she says women are becoming more attracted to its job prospects and ongoing growth. Zhang says that if the blockchain industry is to achieve mainstream status, it has no choice but to submit to regulation. It may be hard at first, but this will ensure trust in the space and give blockchain and cryptocurrencies far more legitimate appearances. In the long run, Zhang is confident the blockchain will one day be widely adopted by governments, businesses and other ventures everywhere, and that its technology will be as common as the internet. BitPay, Coinbase or Others: Can Anybody Replace Visa?